There are many ways you can track the number of pages you print. A) You can get an idea of the number of pages you have printed with a cartridge by monitoring the number of reams of paper you use in the life cycle of a toner cartridge. B) If you have an HP printer and your toner has a chip you can print a “Supply Status Page” at any time from the printer’s menu that will tell you how many pages were printed with current cartridge/s. When the printer warns you to change the toner soon, you should print the “Supply Status Page” to monitor how many pages printed. Eventually, as you continue to print, the printer will erase the chip page counter, and the data will be lost. 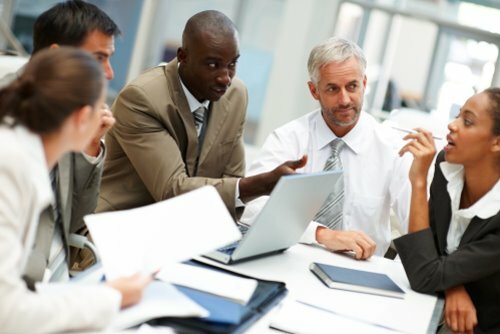 C) If you have a Brother Laser Printer or a printer without a chip, you can also print your printer’s internal report that shows the printer’s “current page count,” which states how many pages printed since the printer was put into use. 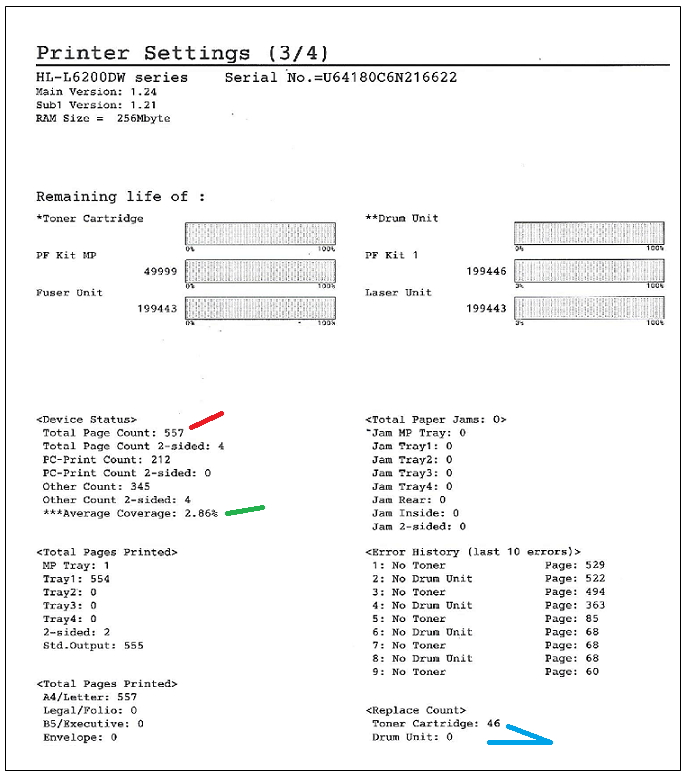 Print this report when you install the cartridge and save it as the start of the cartridge page count. Print it again when the cartridge is empty as the ending page count. You can now subtract the start number from the ending number, and the result is the number of pages printed with the cartridge.